Need a trusted and insurance backed company to move and transport your vehicle? Use VIEZU Technologies Vehicle Movements team. 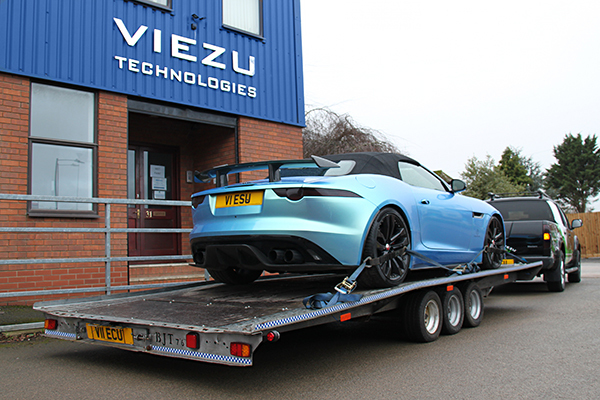 Ensure your pride and joy arrives at VIEZU Technologies’ workshop, or your designated drop-off point with our fully qualified Vehicle Movements team in Warwickshire, UK. VIEZU is known for its commitment to outstanding customer service. Our Vehicle Movements team provides a VIP vehicle transport service with a professional handover and a friendly approach to moving all kinds of vehicles up to and including 2.4 tonnes. 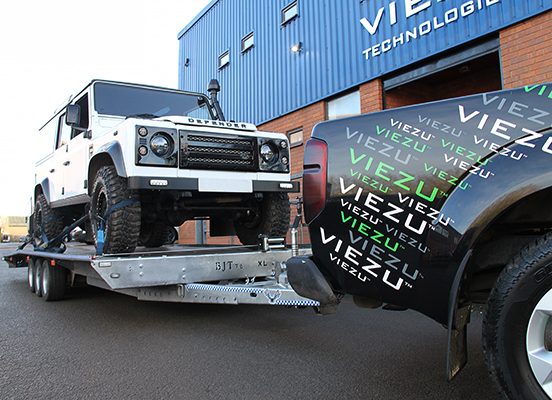 VIEZU Vehicle Movements work to transport your vehicle with great care and attention to detail, offering proven reliability and professionalism. Booked an Appointment with VIEZU and Can’t Get to Us? If you have your vehicle booked in at VIEZU’s International HQ in Warwickshire and are having trouble getting your car to us in Bidford on Avon. Let us know, and VIEZU can book a your vehicle transport collection time and deliver back to your home or workplace for your convenience. VIEZU knows that booking your vehicle in for any maintenance work can be a challenge. Especially when you work Monday-Friday, and garages are predominately open for only half a day on Saturday. VIEZU are here for you. If you cannot get to VIEZU HQ, our expert Vehicle Movements team will visit you, wherever you are, at home or at work to collect your vehicle and deliver direct to our workshop in Bidford on Avon, Warwickshire, UK. 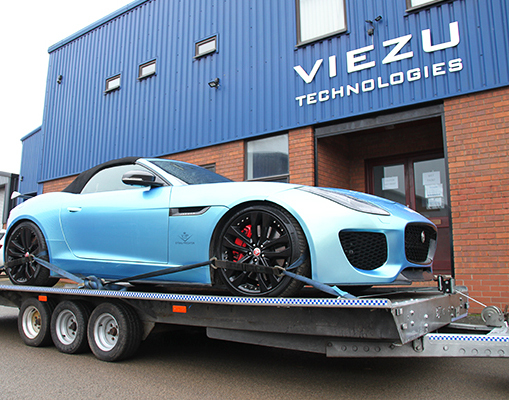 Once work is complete on your car, VIEZU will transport your vehicle directly back to you hassle free. Excellence in Local Vehicle Movements in Warwickshire and Surrounding Areas. VIEZU also offer local vehicle movements in Warwickshire and Surrounding areas. Our dedicated vehicle movements team ensure your vehicle is professionally delivered to the right place, at the right time, at highly competitive rates. We offer home/work collections for your vehicle to deliver to your designated location, for a specific time. What vehicles can VIEZU move? VIEZU are able to move vehicles up to and including 2.4 tonnes – this includes most short-wheel based vans, transporter/transit vans, saloons, and hatchbacks. 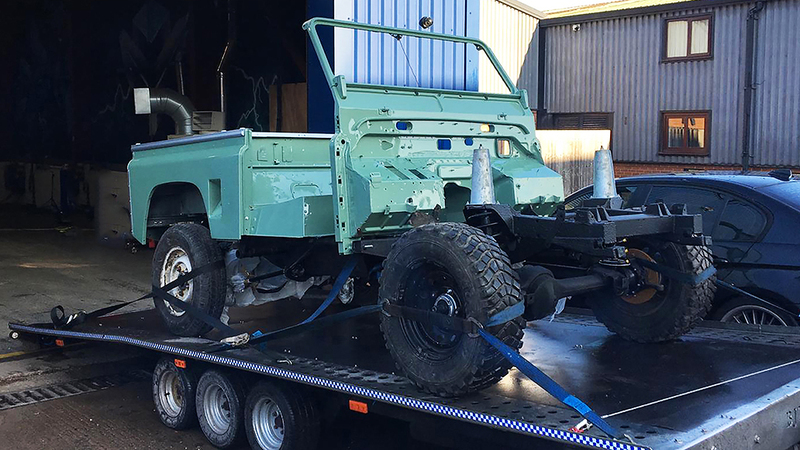 VIEZU can also collect and deliver your running classic car restoration projects. 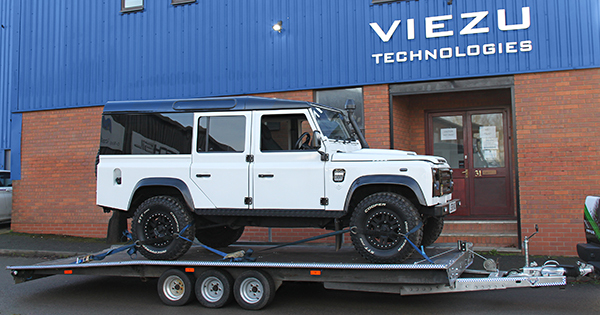 This includes Land Rover Defender restorations you have booked in for completion with VIEZU.